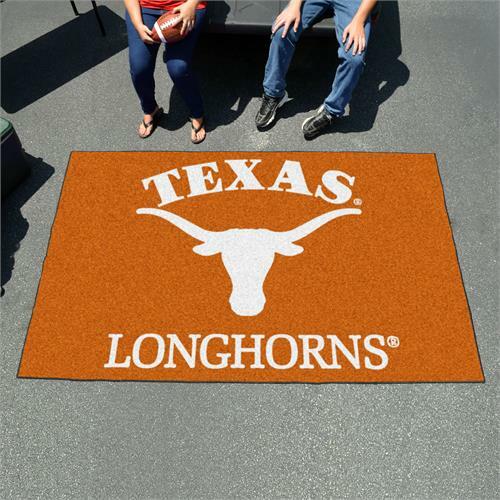 Tailgate in style with this 5' x 8' Texas Longhorns Ulti-Mat Tailgater Mat from Fanmats! This officially licensed mat is made of the highest quality 16 oz. faceweight nylon carpet and is chromojet printed for vibrant, true team colors. It has a non-skid Duragon latex backing, a sewn surged edge, and is machine washable. This rug is easily durable enough for all your outdoor uses and will definitely draw rave reviews from fellow tailgaters!